In 1979, Mark Lehner and James Allen started work on the first comprehensive mapping of the Sphinx. They studied its structure and geology and documented every detail they could, from the ancient masonry layers and tool marks to the geological stratification of the surrounding area. Their goal was to determine how and when this iconic monument was built and to document its then-current state of preservation. For more than 35 years most of this data remained inaccessible, but thanks to a grant from ARCE's Antiquities Endowment Fund the original project data is now online and available to the public for study. This archive is especially important as many of the details documented at the time are no longer visible. If you'd like to search the data yourself, good starting points are the project home page or try browsing some of the over 5500 photographs and 364 maps and drawings and see what you find! You can learn more about this project on the ARCE website or in the Fall 2017 issue of the AERAgram. While preparing the Sphinx Project data to go online, we realized it was the perfect time for us to revisit the Sphinx itself. 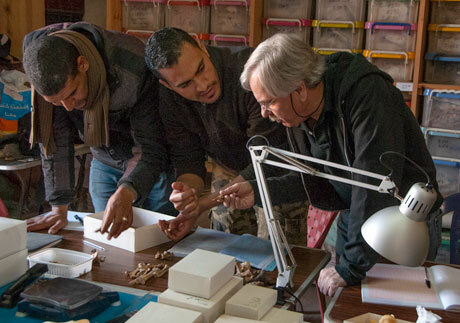 Under the Direction of Zahi Hawass, Field Directors Mark Lehner and Glen Dash started the Return to the Sphinx Viewing Project this year to document the changes that have occurred over the intervening years. In addition to a systemic survey, we were able to use new technologies to take a (literally) deeper look by using ground penetrating radar to peek under the base of the Sphinx in search of new information on its internal structure and to look for evidence of unknown grottoes. The data from this new work is still being analyzed, but our preliminary results will be published soon. Stay tuned! During our 2018 excavation season, AERA archaeozoologist Richard Redding taught his students about the bones of the birds, fish and mammals of ancient Egypt. By the end of the season they were confidently identifying bones from this season's excavations and had begun work on their own comparative collections (flesh-eating beetles were involved). Their work was even featured in the the article Let Them Eat Soup in the most recent issue of Archaeology magazine. Now two of Dr. Redding's former students, Rasha Nasr and Mohamed Hussein Ahmed, have started their own archaeozoology field training in Saqqara to pass on what they've learned to other Egyptian archaeologists. Congratulations to them and to all our former field school students who are now directing excavations and teaching their own students across Egypt! 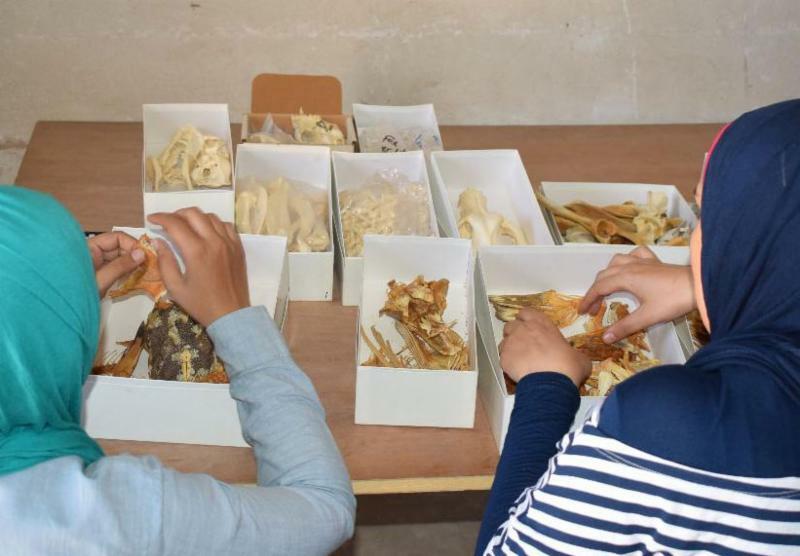 Find out more about the students' experience in their own words in Learning Animal Bone on our website and consider making a donation to help us continue to train the next generation of Egyptian archaeologists and teachers. Become a member to receive print copies of future AERAgrams hot off the press. Join AERA and help us explore further! Our members and donors support our excavations in Egypt, field school training, rescue archaeology, conservation, education and outreach. Members receive printed copies of AERAgrams and annual reports as soon as they are published.